Home Movies Pakistan Will Fawad Khan and Mahira Khan Attend Rakhi Sawant’s Wedding? 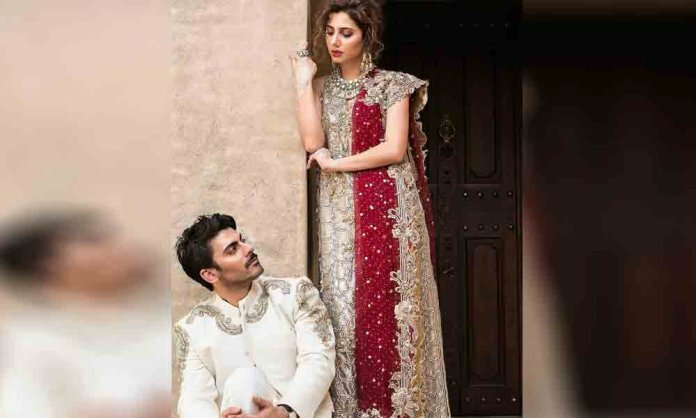 Will Fawad Khan and Mahira Khan Attend Rakhi Sawant’s Wedding? Controversy queen Rakhi Sawant never failed to get our attention with her bizarre statements which makes her an object of mockery on social media. However, the actress invited the swarm of trolls on the social media yet again after her series of uncanny acts. Recently, she shocked everyone by announcing her controversial wedding with Internet sensation Deepak Kalal on December 31st and netizens can’t stop their laughter. Yes, I am getting married to Deepak on December 31st and the wedding will happen in the US. He is taking care of all the arrangements. She has also posted her wedding invitations where she has also invited Bollywood’s big-wigs like Shah Rukh Khan and Karan Johar. To our surprise, the Pakistani internet sensation Nasir Khan Jan has also been invited to Rakhi Sawant’s wedding. Ok, we didn’t see that coming! Nasir Khan Jan took to his Instagram account and talked about how the duo has sent him plane tickets and he can’t wait to be a part of it. But he went a little too far when he said that the event will be a big gala and Fawad Khan and Mahira Khan will be attending the wedding. Apart from Nasir Khan Jan, another online entertainer Nouman Khan has also been invited to the event. Well, he seems more excited than the couple itself! Is this really happening? If yes then it will be a terrific end to the year, we must say. Previous articleHashim Nadeem to Pen Down the Script for Shahzad Rafique’s Next Film! Next articleHina Altaf Reveals Her Relationship Status In A Mysterious Post!